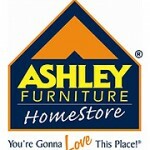 Ashley Furniture Inc. is a private manufacturing company based in the United States. The company was founded in the year 1945 as a sales operation in Chicago marketing goods manufactured by the local companies. Currently the company is owned by Ron and Todd Wanek, a father and son team. It deals with furniture manufacturing and distributing furniture products for home throughout the world. it uses two channels to distribute the products, the Ashley Furniture stores and independent furniture deals. The company with facilities in Wisconsin, Mississippi, Florida, Pennsylvania, California, Florida, Vietnam and China has an employee population of about 18,000. Its Headquarters are located in Arcadia, Wisconsin, USA. There are currently 0 consumer reviews about Ashley Furniture available. Share your review. Please take a note that you are about to post a public review about Ashley Furniture corporate office on CorporateOffice.com. This review will be public, so please do not post any of your personal information on this website. If you would like to contact the corporate offices of Ashley Furniture, please use their contact information such as their phone number, website, and address listed above to contact them. However, sometimes staff from Ashley Furniture headquarters do read the reviews on this website.